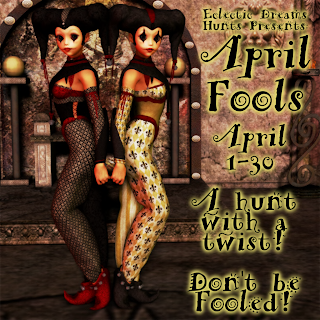 Everyone knows that I love a good hunt....On April 1, there will be 2 new hunts at Elemental Jewelry! The first one is the APRIL FOOLS HUNT, organized by Phoenix Welles and Eclectic Dreams Hunts. Now, this hunt has an interesting twist, as you might expect from the title. 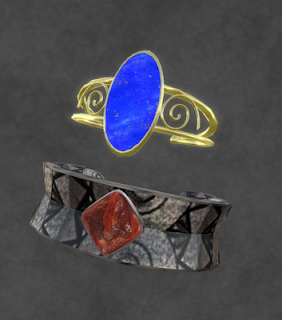 At each participating shop, there will be not just one, but two or more hunt items hidden. One of these items is a fool's gift, one is the real gift, and any others are decoys. How fun! I'll not show a photo of my hunt gifts--it's a surprise. Happy hunting at ELEMENTAL JEWELRY!